4258 US Hwy 98 N.
Everet Lake, DDS, provides comprehensive general dentistry services to patients age 10 and older. He provides preventive, restorative and cosmetic dental services including fillings, extractions, bone grafting, root canal therapy, crowns, bridges, dental implant restorations, laser therapy, Lumineers®, oral cancer screenings and teeth whitening. In addition, his office can typically accommodate dental emergencies on the same day. 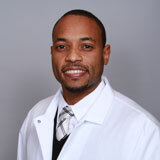 Dr. Lake earned his Doctor of Dental Surgery degree at Howard University in Washington, DC, and completed a Post Doctoral General Practice Residency program at New York's Bronx Lebanon Hospital, where he was Chief Resident. He earned a B.S. Biology degree from University of Central Florida in Orlando. Dr. Lake is a member of the American Dental Association and the Florida Dental Association.